Early Work creates bespoke environments and branded experiences. 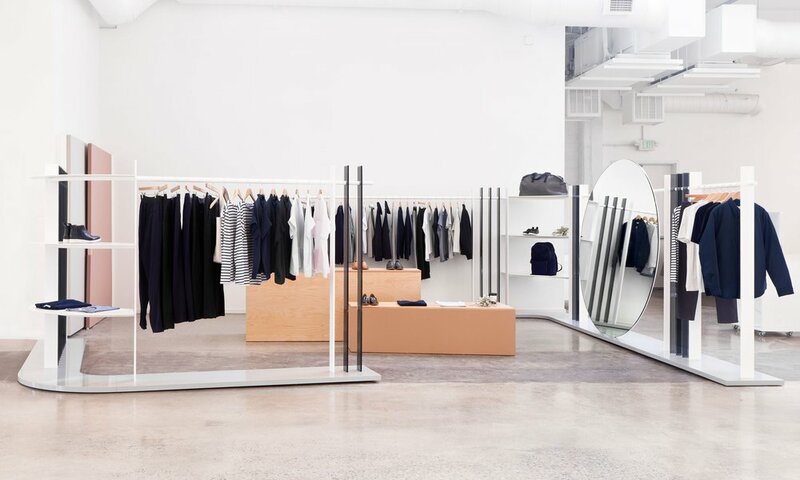 We partner with retail, hospitality, and corporate clients to articulate their spatial identities through environments of singular beauty and simplicity. Our programs include space planning and custom furniture and fixtures designed and produced to ensure a comprehensive vision otherwise untenable through mere curation. Early Work, co-founded and lead by Brian Hurewitz, is driven by an instinct to subtract and simplify—eschewing trend and spectacle in favor of quietly declarative gestures, sculptural forms, and absence imbued with a sense of permanence and purpose. It is our belief that stillness and space can encourage more meaningful interactions between participants and brands by creating moments of consideration and contemplation that would otherwise be lost to the din of contemporary life. Early Work is inspired in equal measure by the broad vision of our clients, by the opportunities and constraints inherent to a site, and by references ranging from the arcane to the everyday. We translate the values at the core of any entity or organization into uncommon experiences and functional environments from light, space, form, material, and color. Our bespoke furniture and fixtures are designed to showcase our clients’ most essential assets—be they products, services, or people—and provide the foundation for a truly differentiated spatial identity. Early Work designs environments with longevity in mind—fabricating custom fixtures that will withstand the test of time, weather the rigors of use, and anticipate our clients’ evolving needs. Brian Hurewitz leads the production process, ensuring our original design intent is maintained from initial concept to final form while managing timing and budget requirements throughout. From material sourcing to production to installation, we collaborate closely with a network of skilled craftsmen and fabricators on the East and West Coast who share our fastidious attention to detail and meet our standards for quality.